The Kito brings you the legendary Freeplay selfpower system at an incredible price. With it you will never have to worry about being left in the dark again; no hunting for batteries, no looking for spare bulbs, no fumbling with power cords. A quick wind of about 60 seconds gives you 1 hour shine time. The bright white LED has a 100,000 hour life. With the Freeplay Kito you never have to worry about replacing batteries, bulbs or having to plug-in to recharge. 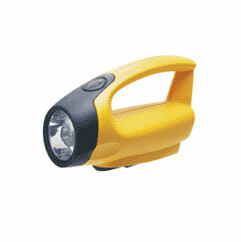 You can wind the Kito at any time for up to 1 hour of continuous light. Just an FYI…the order arrived, thanks for the great service and fast shipment.